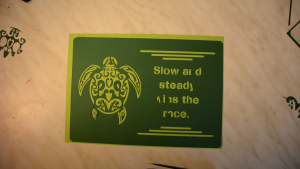 If you want to cut something on the laser cutter it’s the easiest to start with a vector graphic. 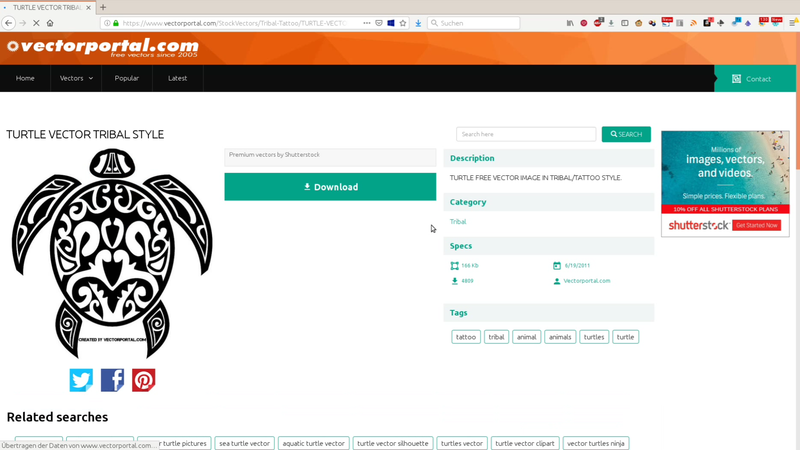 We often use the free resources from vectorportal.com. 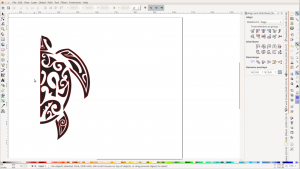 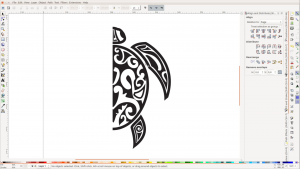 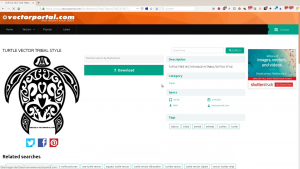 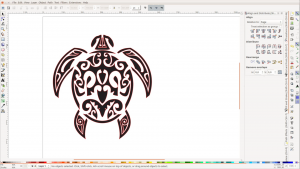 Also this time we found there a nice tribal style turtle as a free download. We import the file into Inkscape. 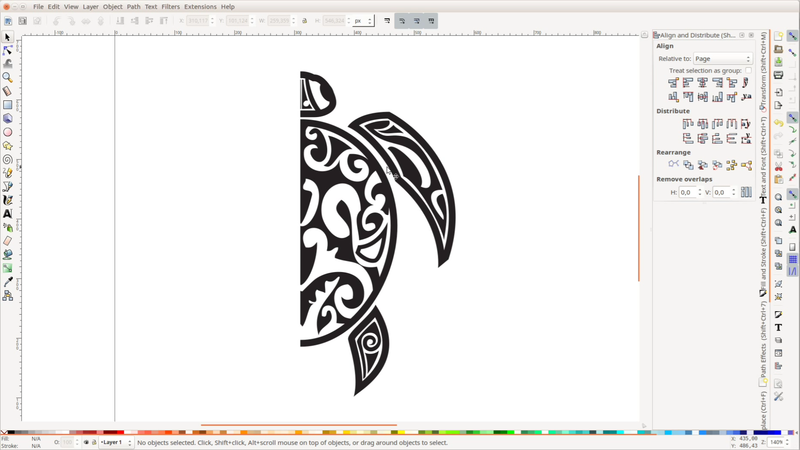 To avoid some work we ungroup the turtle graphic, draw a rectangle across half of the turtle and go to path, difference to cut away half of the piece. 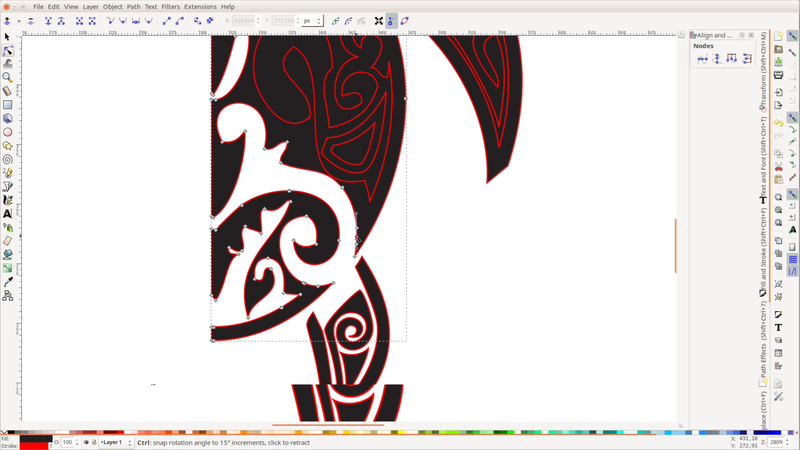 Now we only work on one half and mirror the right side later. If we would cut the turtle like it is we would have a lot of loose pieces that we have to arrange manually. 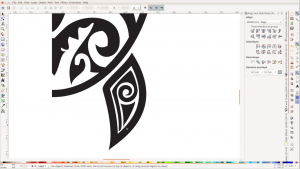 We therefore try to connect every white piece with the surrounding paper. 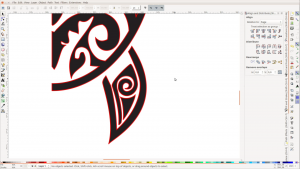 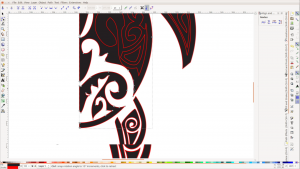 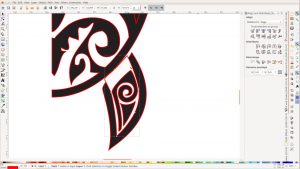 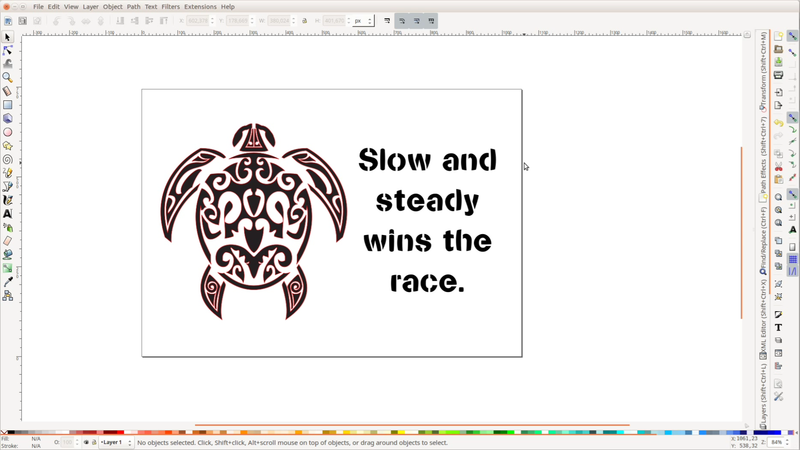 With the node edit tool in Inkscape – which is the second button on the right we enlarge some of the shapes and remove that area from the surrounding part with part, difference. 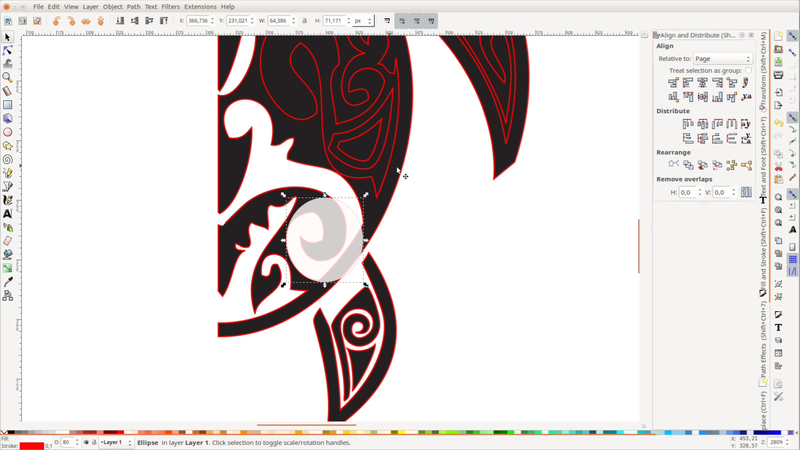 We can also use additional shapes such as this circle to cut away a part from the form. 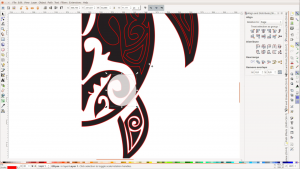 Sharp corners can be selected with the node edit tool and are removed with the delete key. 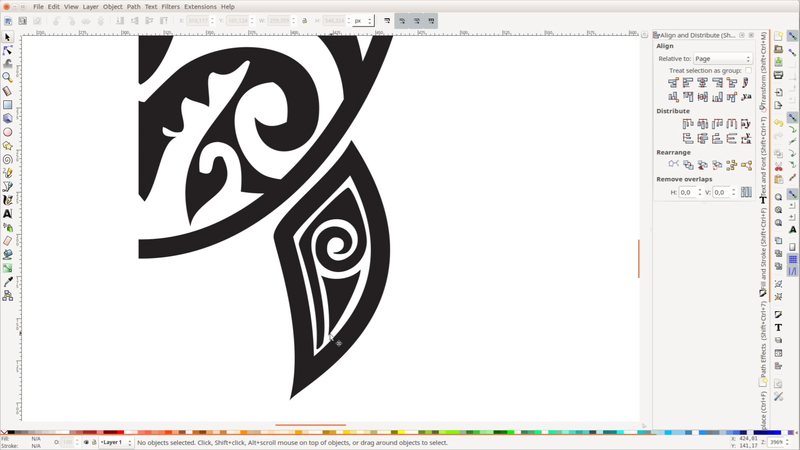 The two halfes are merged with path union. The intersection of the two parts needs a few fixes. 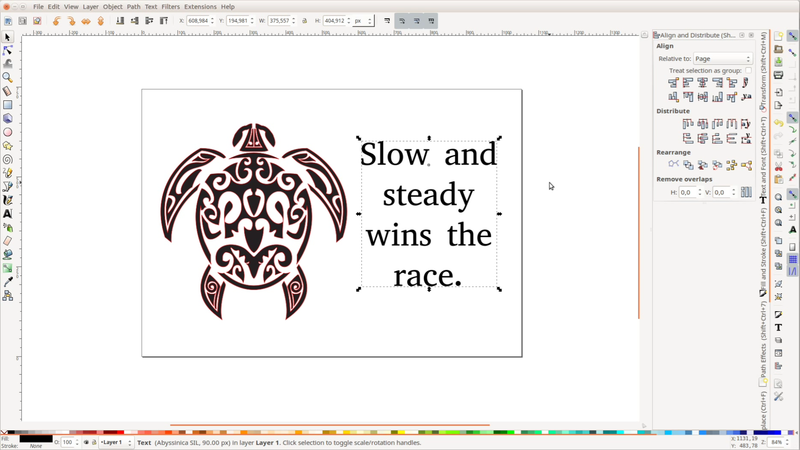 We then add a quote from Aesop to the right hand side of the page. 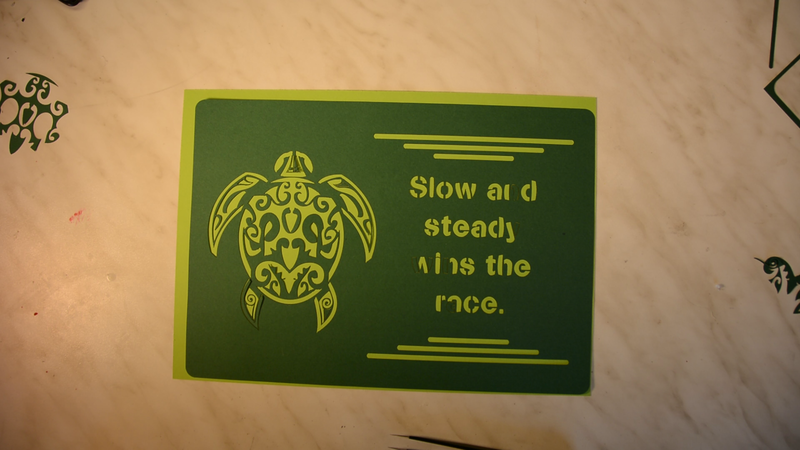 As a font you want to use a stencil font so you don’t have to puzzle the individual parts of the letters. 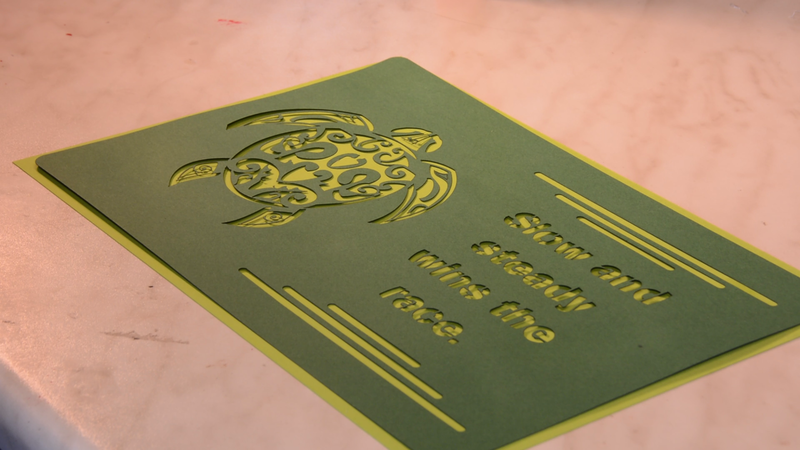 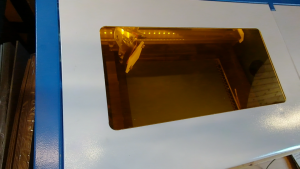 We add a few more decorative elements and the file is ready to be send to the laser. 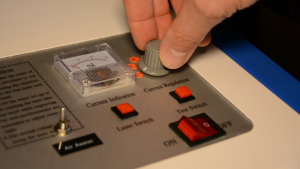 The laser is set as low as possible and we put a relatively thick piece of paper on the bed. 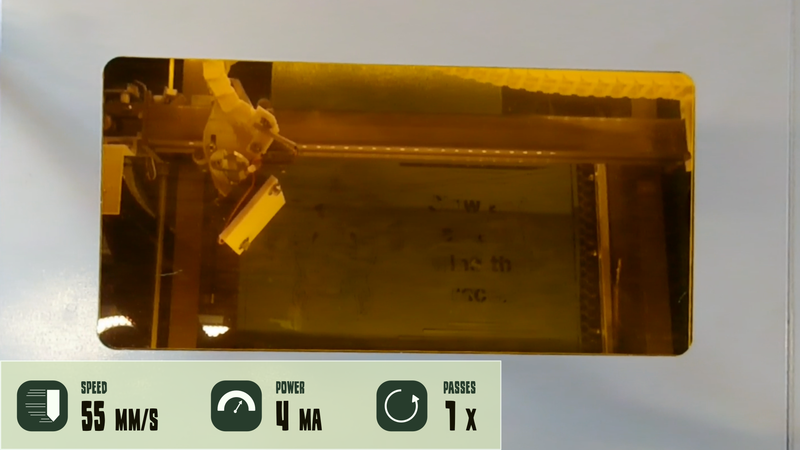 In K40 Whisperer the speed is set to 55 mm per second and we watch the laser cutting. We carefully remove the loose pieces. Fine tweezers are a big help. 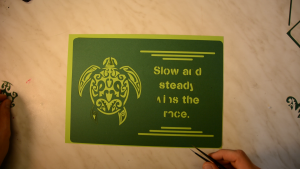 On the one hand side they are helpful to pick loose parts. They are also helpful to stabilize the part you want to keep if the cutout is still connected. 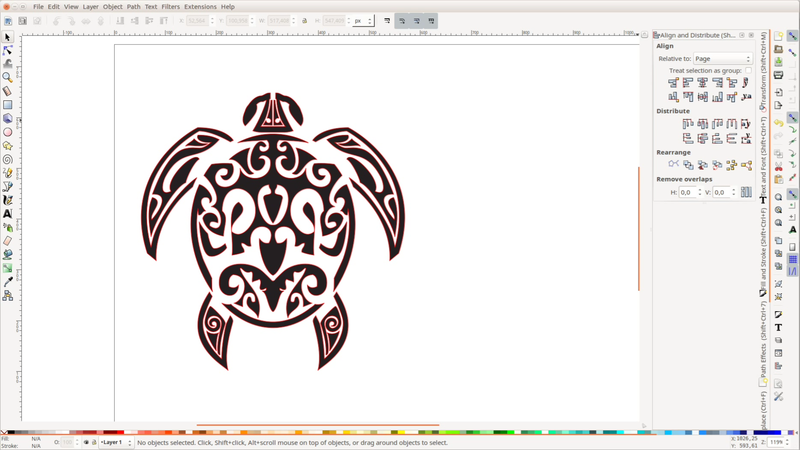 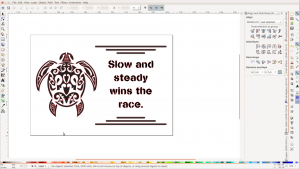 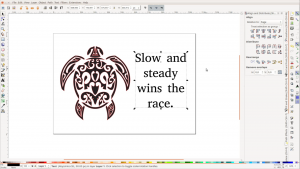 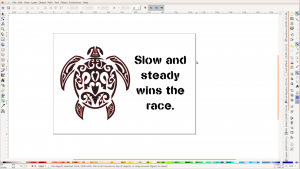 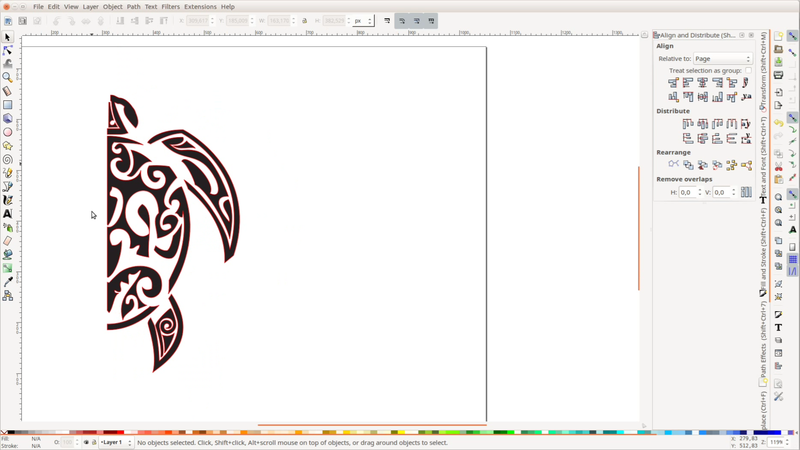 Now you can also see in the middle of the turtle the part we missed in Inkscape. 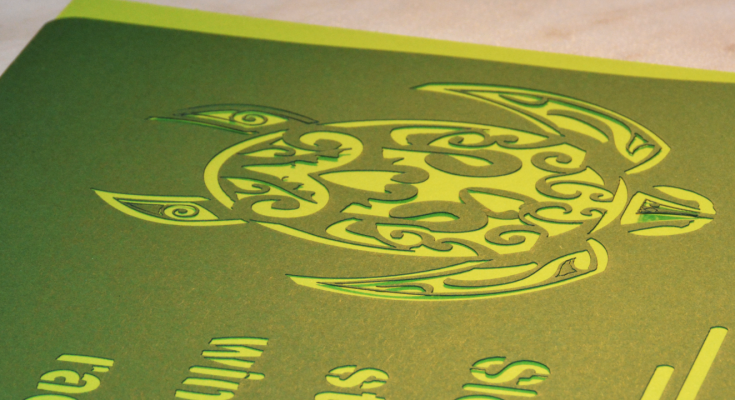 We add a few dabs of glue to hold the contrasting papers together and lastly glue in the missing center piece.